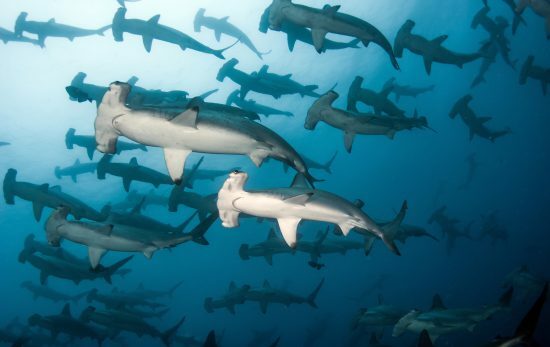 As divers, we have the unique opportunity to slip beneath the surface of the ocean and experience the incredible beauty of the underwater world first-hand. Along with that, we unfortunately often come face to face with the abundance of marine debris that litters our planet’s ocean ecosystems. Luckily, as divers, we also have the ability to make a difference. PADI® has partnered with Project AWARE® for more than 25 years to empower divers across the globe to help improve the health of the ocean. Project AWARE’s flagship citizen-science program, Dive Against Debris®, encourages scuba divers to collect underwater marine debris and record data on the types, quantities, and locations of materials collected. Dive shops around the world are hosting regularly scheduled Dive Against Debris surveys for any and all divers to participate in. Check out a few of these conservation-focused actions held at dive shops around the world and learn how you can join their efforts to make a difference. In Key Largo, Florida, Rainbow Reef Dive Center invites all divers that are visiting or live near the Florida Keys to get involved in a local Dive Against Debris survey by joining them during their monthly underwater cleanups. Divers have the opportunity to remove derelict lobster traps, monofilament, and other fishing equipment in and around the Florida Keys National Marine Sanctuary. Rainbow Reef helps educate divers on what they’ll need, what to remove (and what to leave), and how to remove the debris properly without damaging the underwater environment. A PADI Professional will lead each group of divers to help facilitate the use of a lift bag and debris removal, and help weigh and categorize the debris to report to Project AWARE. To find out when the next Dive Against Debris will be held at Rainbow Reef, follow their Facebook page or contact the dive center directly at 305-451-7171 or rrdcconservation@gmail.com. 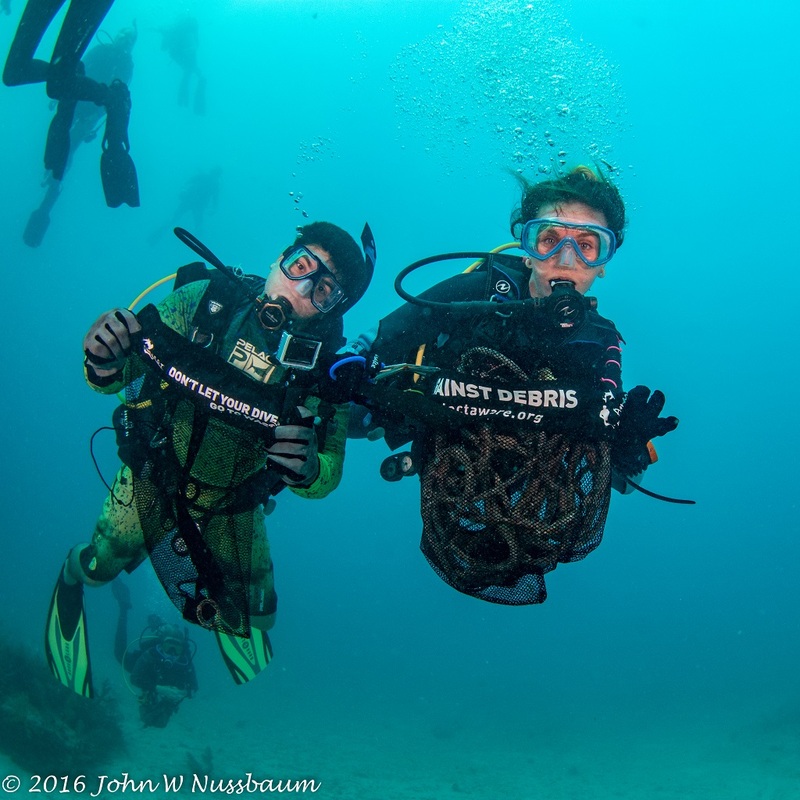 Two divers participating in one of Rainbow Reef Dive Center’s regularly scheduled Dive Against Debris events in Key Largo, FL. Photo By: John Nussbaum. In the Philippines, Liquid Dive Dumaguete adopted its house reef Mainit, Dauin in 2016 as one of the beta testers of Project AWARE’s Adopt a Dive Site™ program. Since then, they do monthly Dives Against Debris surveys on the reef recovering large amounts of debris. 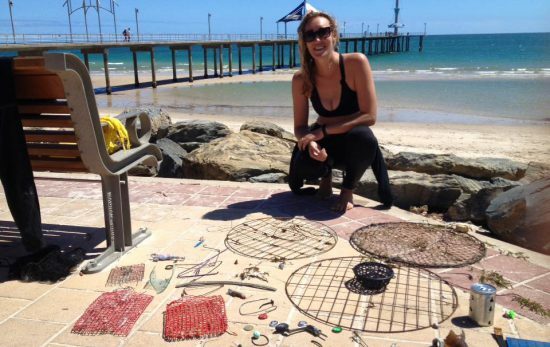 More recently they even started to organize weekly beach cleanups on their beachfronts in order to collect what plastic washes up onshore too. The dates and time of their monthly Dive Against Debris and weekly beach cleanups are published on their Facebook page. For a minimal donation towards local marine protected areas, any certified diver can take part in Project AWARE’s global citizen science program, and any ocean-lover is invited to join their beach cleanups. Liquid Dive Dumaguete divers posing for a group photo above the surface after another one of their successful monthly Dive Against Debris events. Photo By: Liquid Dive Dumaguete. Dive Friends Bonaire hosts free quarterly underwater clean up dives as part of their Debris Free Bonaire program. They are passionate about ocean conservation and want to protect their beautiful local reefs for future generations of divers. Dive Friends Bonaire is also a 100% AWARE partner and typically has between 80 and 100 divers participate in their clean up dives. Any divers who want to combine a Caribbean vacation with helping to restore the health of the ocean are invited! Find upcoming dates here, and watch the video below to see how much fun their Dive Against Debris surveys are. 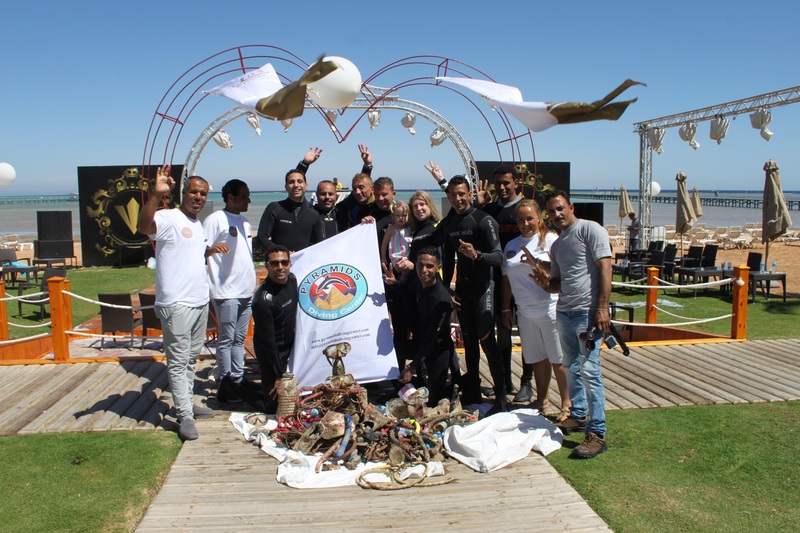 Divers from Pyramids Diving Center in Egypt celebrating after removing a large pile of debris off their local Red Sea reefs. Photo By: Pyramids Diving Center. Also in the Philippines, Dive Funatics conducts Dive Against Debris surveys at least once a month at their Project AWARE adopted dive site. “As a dive center, we utilize these cleanup dives as an opportunity for our students to volunteer, improve their diving skills like buoyancy, and to share our passion for the protection and conservation of our ocean.” – Dive Funatics founder and instructor, Darwin Bawasanta. Email them via their website to find out dates and times of their upcoming Dive Against Debris. Dive Funatics divers waving to the camera at the surface during an underwater cleanup day in the Philippines. Photo By: Dive Funatics. Bubbles Dive Centre, located on Gozo Island in the Mediterranean Sea, is a 100% Project AWARE dive shop with a deep passion for ocean conservation. 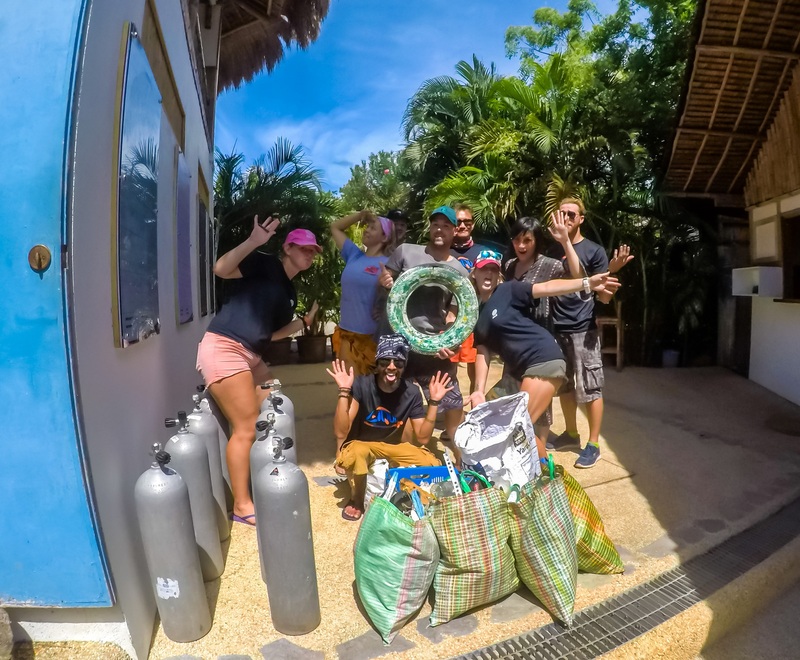 For them, every single dive is a Dive Against Debris, and each day when their instructors and dive guests come back with collected debris, they then showcase that day’s debris in a display box outside of their dive center in order to raise awareness. 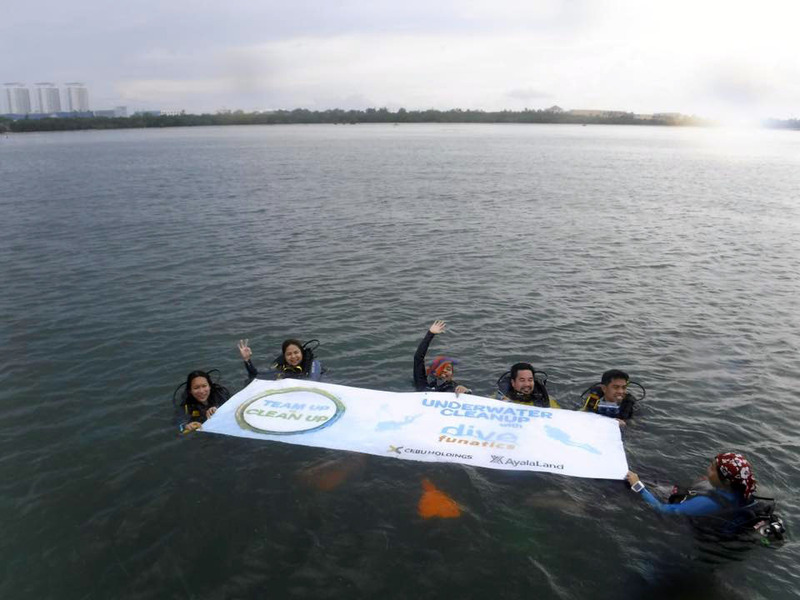 They also hold several organized events throughout the year, inviting local and visiting divers to participate for free in coordinated underwater cleanups. “We have a philosophy at Bubbles which says our customers are customers of Bubbles, but we are all ‘guests’ of the ocean and therefore should treat the marine environment with respect.” – Donna, Co-Owner of Bubbles Diver Centre. A group of divers participating in one of Bubbles Dive Centre’s underwater cleanup dives collected this large amount of abandoned fishing gear and trash in the coastal waters of Gozo Island in the Mediterranean Sea. Photo By: Bubbles Dive Center. Dive Curacao brings together more than ten dive shops from around this beautiful Caribbean island that each host their own Dive Against Debris survey once a month. They believe that positively contributing to the health of local dive sites is a shared responsibility of the whole community for the benefit of future generations. Their Dive Task Force’s commitment to hosting Dive Against Debris surveys is an important step in creating awareness of the negative effects of marine debris on the island and the world ocean. Whether you’re a local diver, or simply visiting Curacao, all certified divers are welcome to sign up for one of their free underwater cleanups. Find upcoming dates here. 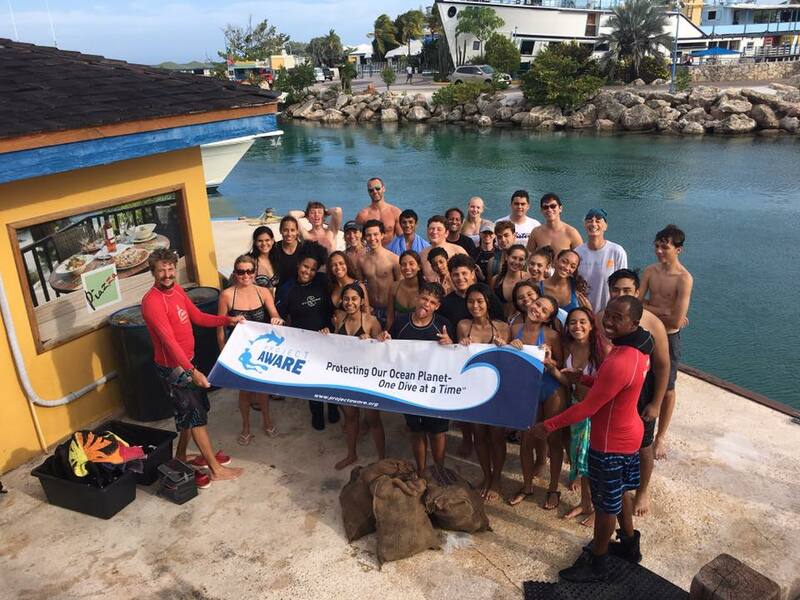 A large group of young divers having just completed an underwater cleanup with one of the dive shops part of Dive Curacao’s Dive Task Force. Photo By: Dive Curacao. The data collected and submitted to Project AWARE following a Dive Against Debris is a crucial step in the process. With the dive centers listed above (and many others around the globe) completing regular Dive Against Debris surveys at their same local dive sites over time, a comprehensive database is formed and marine debris hotspots can be identified. 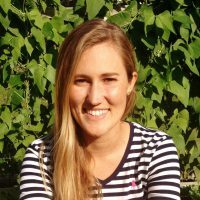 These hotspot data points can be used to help drive change with local restaurants and businesses as well as to inform governments to prioritize particular waste management strategies. Next time you decide to go for a dive, whether locally or while traveling, be inspired to join the Dive Against Debris citizen science movement and take part in a regularly scheduled underwater cleanup like the ones highlighted in this article. Because cleaning up the ocean with fellow divers makes for a fun and rewarding dive. Interested in taking your Dive Against Debris skills to the next level? Take the Project AWARE Dive Against Debris Distinctive Specialty Course, and become an expert at removing and most importantly reporting marine debris from the ocean you love. 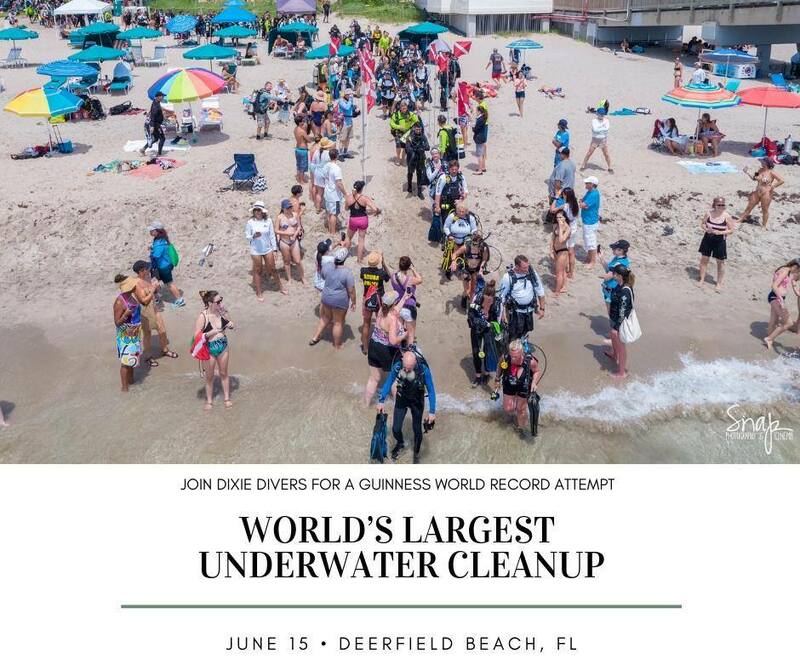 Help set a Guinness World Record on June 15, 2019 for the world’s largest underwater cleanup in Deerfield Beach, Florida!